Before she gave one of the top best performances of the night, Janelle Monae posed on the red carpet during the 61st Annual Grammys Awards took place at the Staples Center yesterday in LA. Janelle in my opinion delivered the best look of the night for this underwhelming red carpet. Her JEAN PAUL GAULLTIER SPRING 2019 COUTURE dress, wasn't the only standout here. It was that fabulous hat that her hairstylist Steve David created. Janelle just always gets it and her fashion sense is literally one of the best in the game. It's very unique and while she always kept it modern when wearing simply white & black hues, I am glad that she is doing a little more exploring, color wise. TIFFANY & CO jewelry and LE SILLA velvet rounded out her look. 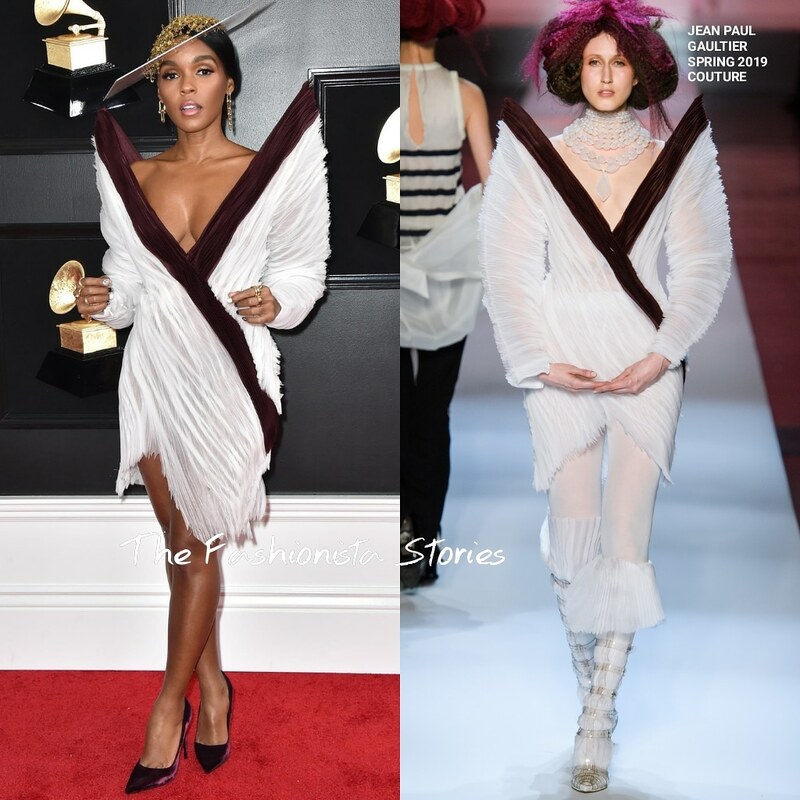 Tags: fashion, Janelle Monae, Jean Paul Gaultier, Le Silla, Tiffany and Co.